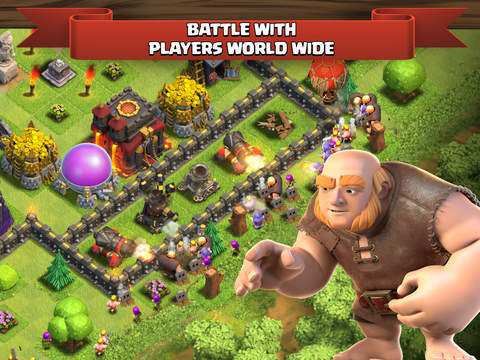 When it comes to a game that is immersive, requires strategizing, gives you the chance to play online, and is filled with incredible graphics, it’s hard to beat the Clash of Clans. While this game offers non-stop fun there is the fact it’s also pretty hard to master. The following is a list of apps that can improve your gameplay, shed light on little-known tips, and just add to your enjoyment of the game. 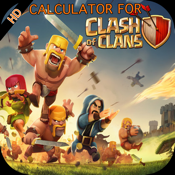 If you're looking for a serious battle that is filled with excitement, action, and non-stop entertainment then the Clash of Clans app is for you. This world is filled with characters that are just waiting to be raised into an army. There are fighters, dragons, wizards, Barbarians, hog riders, and archers. You’ll be working to ensure your village is impenetrable and can stand up to the armies that are waiting to bring it down. 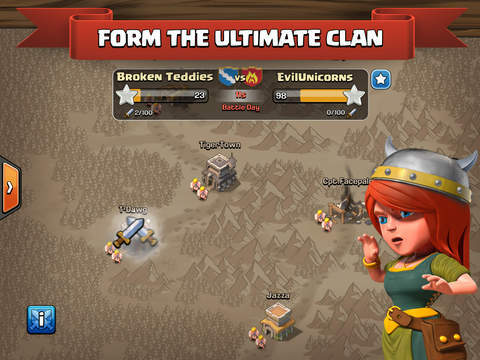 You'll be able to play online to fight against other players from around the world and you can also join forces in order to create a Clan that is unbeatable. The app is loaded with crazy features that deliver non-stop action and all of this is topped off by some pretty impressive graphics. 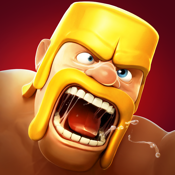 Clash of Clans app reviewTribal Wars app review: a social strategy game where you can create an empire! 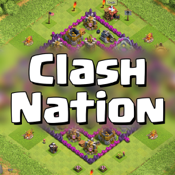 If you've been having problems with Clash of Clans and you're looking to improve your gameplay the Tactics Guide for Clash of Clash can certainly help you out. 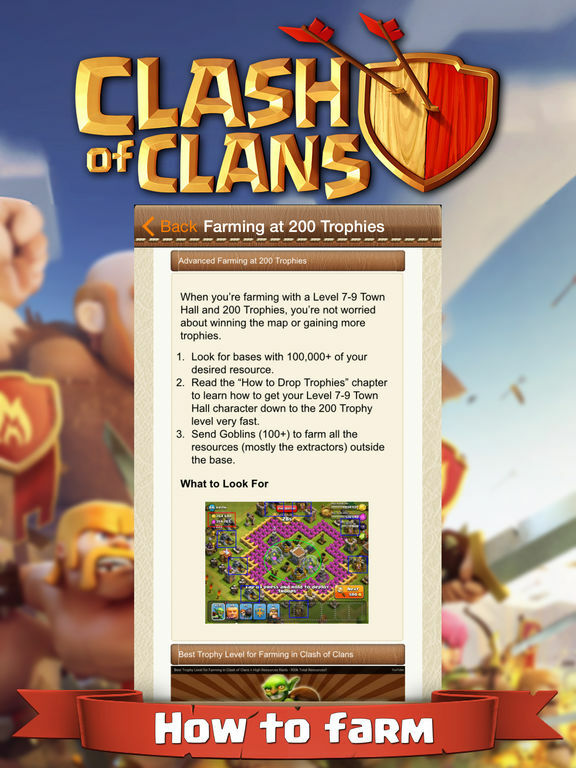 Because Clash of Clans is such an involved game there are always tips, tricks, and hidden clues and gems to be discovered, so why not use the app to reveal all of this content? 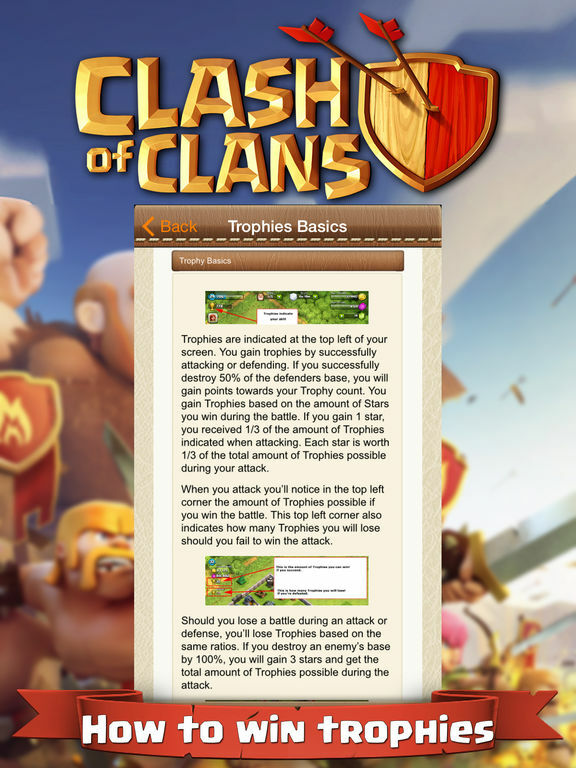 The app provides users with a complete tactics and strategy guide that will help you with Clash of Clans as well as videos that take you through tricks and tips, there is an achievements guide, there is a calculator to use with the game, a Clash of Clan-themed memory game, a place to make notes, and so much more. 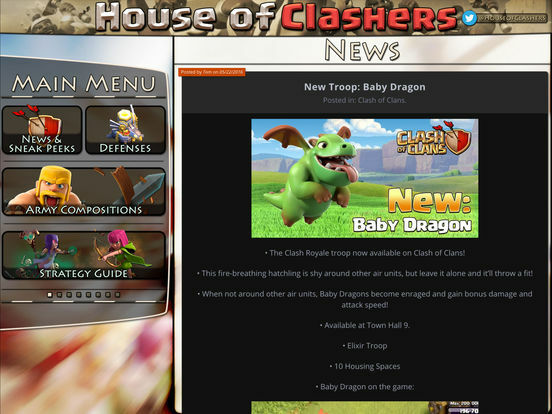 If you're looking for a place to find information, tips, strategies, and tactics that can help you with your Clash of Clans gameplay then the House of Clashers app is a great place to begin. 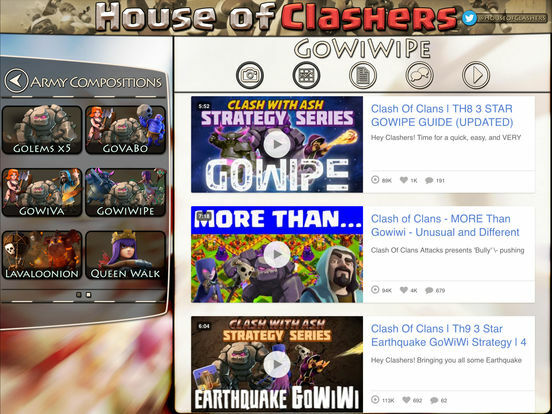 This is an app that has been created for fans of the game who want to hear the latest news, learn about updates, discuss moves, study the gameplay, and learn about how they can improve their gameplay. 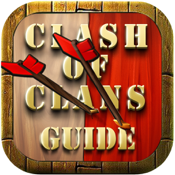 If you're new to Clash of Clans then you will love the Beginner's Guide which can be found in this app. 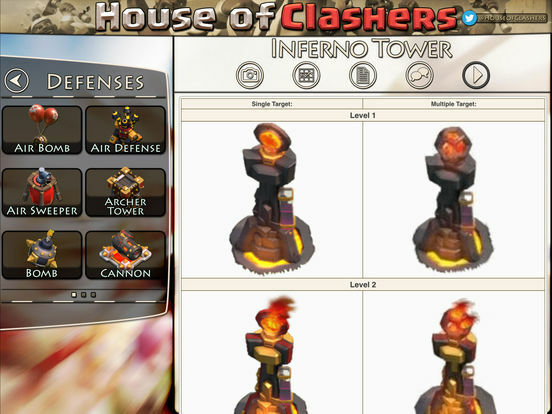 The pictures are a fun feature as well giving you a chance to check out all the buildings and troops throughout each of the levels. 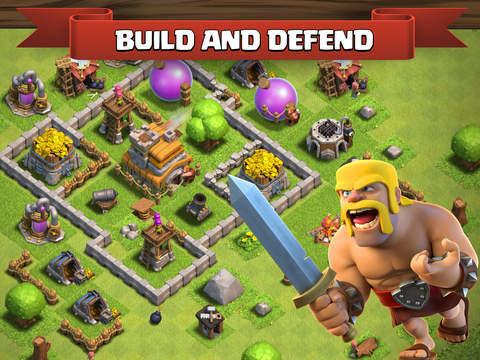 If you're new to Clash of Clans then it can be a pretty intimidating game to take on. 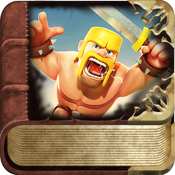 The Strategy Guide for Clash Of Clans app can help you by providing the basics through a step by step format that is easy to follow. 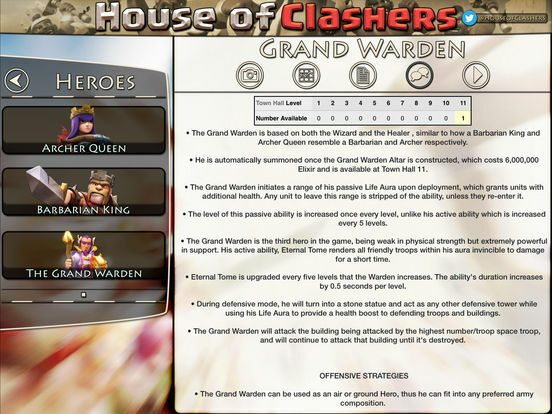 Here you'll be able to view example layouts and designs, learn about advanced attacks, learn how and what to upgrade first when it comes to the paths, leave the seven base attacks, as well as additional information. The developer takes a stance that you can learn by their mistakes so you can master the game that much faster. 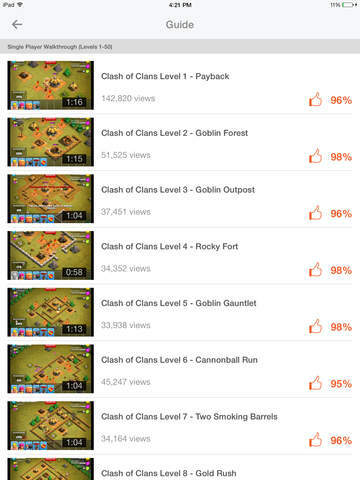 How many times have watched other players take on Clash of Clans and you sit there thinking "if only I could play that well"? 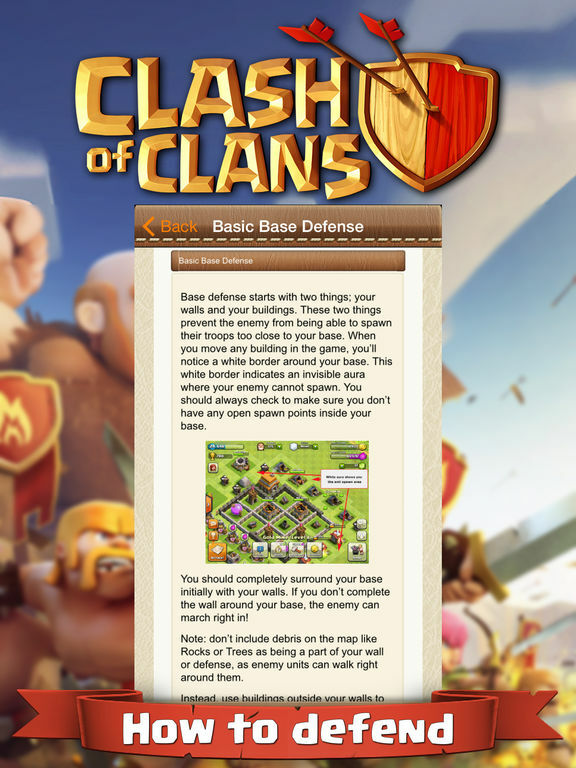 Here's your chance to really up your gameplay with the Video Guide for Clash of Clans app. The app gives users the ability to watch some of the best players out there so you can learn from them and start applying those techniques to your own gameplay. Check out the single player walkthroughs that take you from level one all the way to level 50. Check out some of the best attack strategies, defense strategies, Bonbee Canada styles, and more. 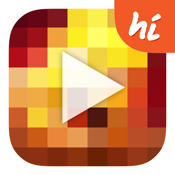 You can even earn points by watching app trailers. 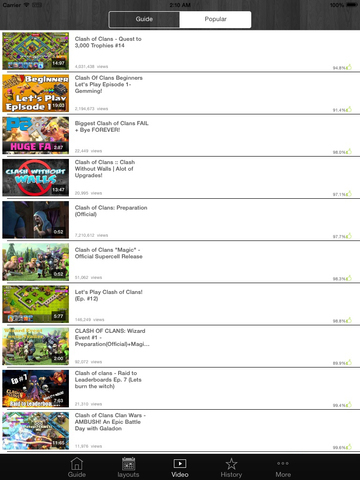 There is no shortage of reference guides out there for people looking to improve their Clash of Clans gameplay so it can be hard to sort through them and find the effective and useful offerings. 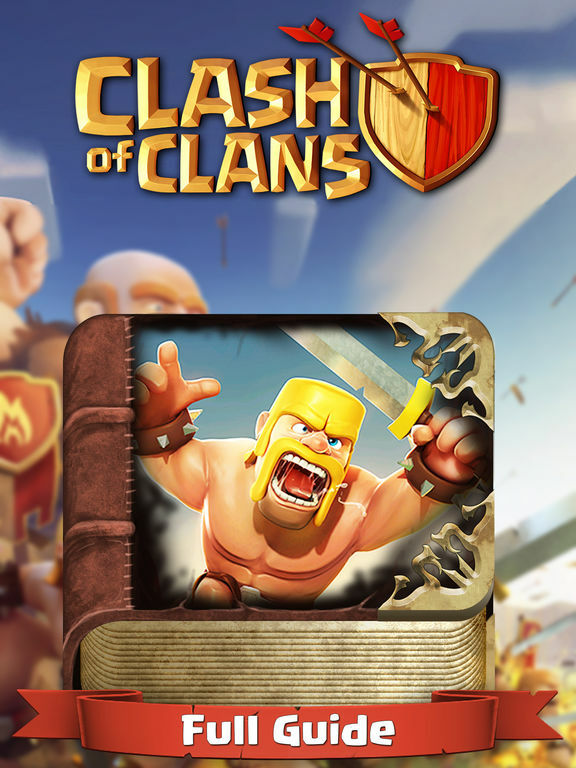 The Guide for Coc-Clash of Clans app attempts to be that definitive guide for users by acting as an unofficial reference guide that is highly detailed and covers all aspects of the game. Take advantage of the tips and tricks videos, the achievement guides, the strategy guide, a variety of statistics, photos, all the stats for the troops, the list just keeps on going. This app definitely rates highly when it comes to quantity. 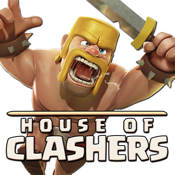 How would you like to connect with others who share the same passion as you: a love for the Clash of Clans game? 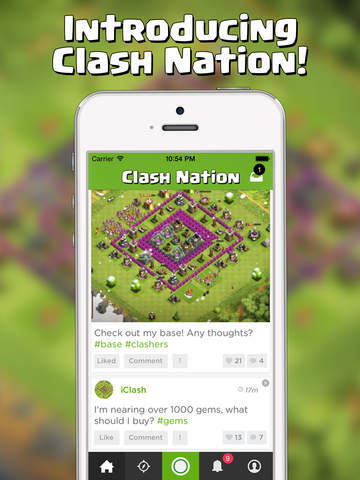 The Clash Nation app gives you a chance to join a community who lives, breathes, and thinks Clash of Clans at all times. By joining this social network you'll be able to share information in text posts, share videos, and photos and of course you can check out what everyone else is posting. The app offers a personalized experience as you get to set up your profile, create a status, and message other members directly. 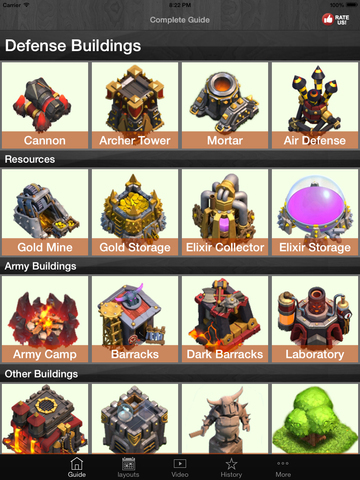 Before you know it you’ll become an expert when it comes to Clash of Clans knowledge. 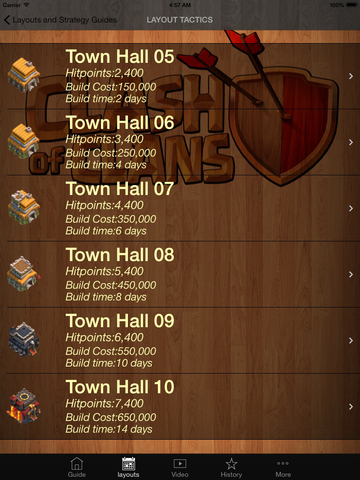 It's amazing how much planning and strategizing goes into the Clash of Clans game. 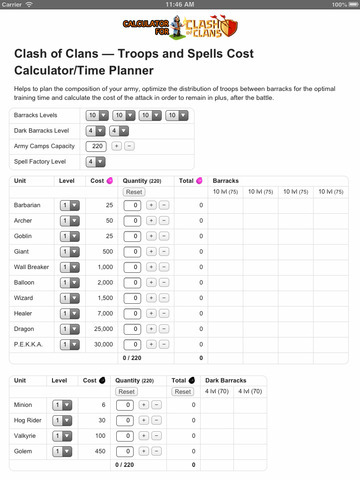 The Troops and Spells Cost Calculator/Time Planner for Clash of Clans app can help you plan out your game so that you can start seeing results like never before. 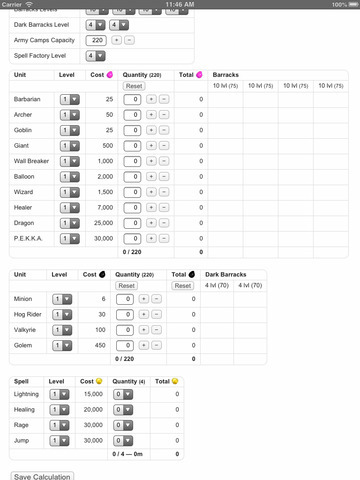 Through this app you'll be able to plan how and where to best distribute your troops, how to build the best army, figure out the best training time for it, and even figure out the cost of your attack before it takes place so you know where you'll stand at the end of the battle. It's an in-depth offering which has users looking at their gameplay in a different way and possibly approach things differently.